David I – History… the interesting bits! Margaret of Wessex is a remarkable character to study. Her piety and devotion to the church saw her canonised as St Margaret just 150 years after her death; and named as Patroness of Scotland in the seventeenth century. 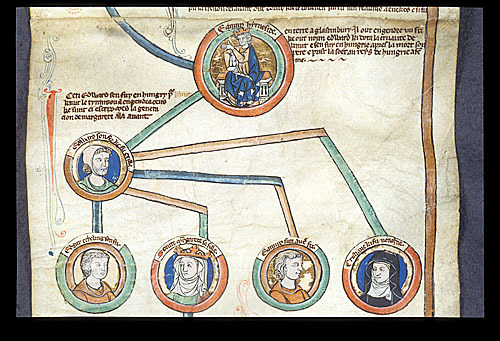 Margaret had an impeccable Saxon pedigree – she was the daughter of Edward the Exile and his wife, Agatha. Edward was the son of Edmund II, usually known as Ironside, King of England in 1016; Edward’s grandfather was, therefore, Æthelred II (the Unready) and his uncle was Edward the Confessor, England’s king from 1042 until 1066. Such valuable royal blood meant she would never be allowed to pursue a life of seclusion in a convent. When his father, Edmund II, was murdered in 1016, Edward and his younger brother Edmund were sent into exile on the Continent by England’s new king, Cnut. It is thought that Cnut intended that they would be killed once they had left English soil, but the boys were protected by Olof, King of Sweden, and sent on to safety in Kiev, where his daughter Ingegerd was wife of the ruling prince, Jaroslav the Wise. Edmund died sometime between 1046 and 1054, having married the unnamed daughter of a Hungarian king. Edward was also married, in c.1043, to Agatha, whose origins are uncertain: she may have been a daughter of Jaroslav; however, it is possible she was the daughter of Luidolf, Margrave of West Friesland and therefore a relative of Emperor Heinrich III. Margaret, the eldest of three children, was born in either 1045 or 1046; her sister, Christina, was born around 1050 and her brother Edgar, the Ætheling, was born sometime between 1052 and 1056. The family might have spent their whole lives in European exile, were it not for Edward the Confessor lacking an heir to the English throne; although Edward was married to Edith Godwinson, the couple remained childless. Sometime in 1054 King Edward sent an embassy to Edward the Exile, to bring him back to England as ætheling, the heir to the throne. The family did not travel immediately, possibly because Agatha was pregnant with Edgar, and it was not until 1057 that they finally arrived in England, having journeyed in a ship provided by Emperor Heinrich III. Just days after their return, Edward the Exile was dead, whether by nefarious means or a simple twist of fate is uncertain. The suspicion has been raised that Edward’s rival for the throne, Harold Godwinson – the future King Harold II – may have taken the opportunity to remove his rival; although it was Harold who accompanied Edward back to England, so surely, had he intended murder, he would have done it sooner? Whatever the circumstances, the death of Edward the Exile was a blow for Edward the Confessor’s dynastic hopes. Edward’s little son Edgar, now the ætheling, was much too young to assume a political role. He and his sisters, with their mother, were now under the protection of King Edward. Edgar was given into the custody of Edward’s queen, Edith of Wessex, while the girls were sent to the royal convent at Wilton, to continue their education. The family continued to live at court and by 5 January 1066, when Edward the Confessor died, Margaret was approaching her twentieth birthday. However, Edgar could have been as young as ten and was probably no older than fourteen; and due to his tender years, the young ætheling was passed over as candidate for the throne in preference for the older and more experienced (both politically and militarily) Harold Godwinson, who was crowned as King Harold II. Following Harold’s death at the Battle of Hastings in October 1066, Edgar was proclaimed king in London, by some of his supporters, but was incapable of mounting any real challenge to William the Conqueror and his army of Normans; he had no option but to come to terms with the duke. 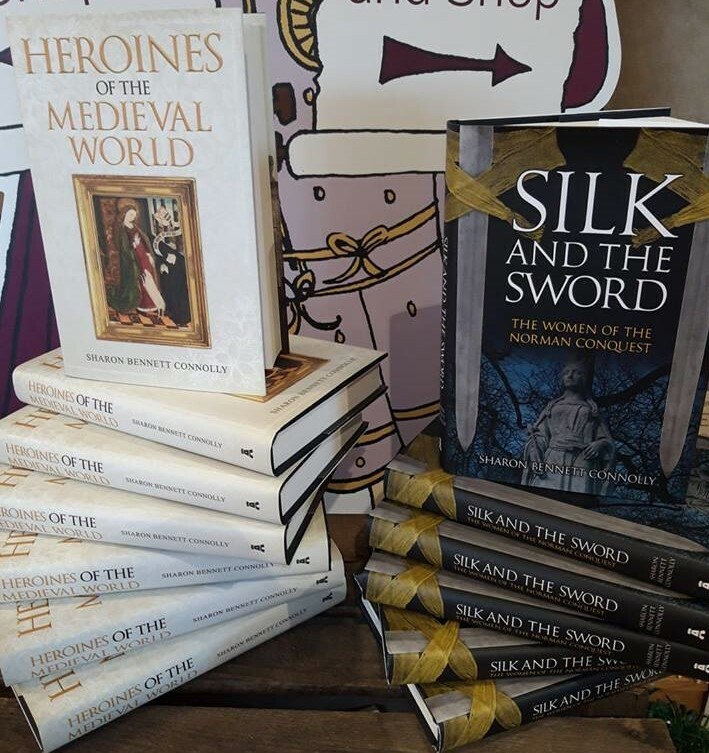 However, Edgar was unsettled under Norman rule and by 1068 he had become involved in the opposition to the new regime, which had been festering in northern England. William’s ruthless response – the Harrying of the North – saw Edgar fleeing for his life; he made his way to Scotland, taking his mother and sisters with him. The family was warmly received at Dunfermline by Scotland’s king, Malcolm III Canmore. In 1057, King Malcolm had defeated King Macbeth in battle, at Lumphanan, to take the throne. By 1069 he was well established as king and married to Ingebiorg; the couple had at least two sons, Duncan and Donald. Ingebiorg seems to have disappeared from the scene before the Saxon royal family’s arrival in Scotland. Whether she died or was put aside seems uncertain, although her death seems most likely, leaving Malcolm free to find another wife. In 1069 Malcolm asked Edgar and his mother for Margaret’s hand in marriage. Margaret was reluctant to agree to the marriage as she was more inclined to a religious life and had hoped to become a nun. Nonetheless, with pressure from Malcolm, her brother and, possibly, her own sense of obligation to the king who was sheltering her family, she eventually accepted his proposal. They were married at Dunfermline sometime in 1069 or 1070 and, by all accounts, it seems to have been a happy and successful marriage and partnership. Margaret’s life as Queen of Scotland did not prevent her pursuing an active religious life; indeed, her position gave her a unique opportunity to influence the practice of Christianity in Scotland. Margaret strove to bring the Church of Scotland into conformity with the practices of Western Catholicism, and away from the tenets of the Celtic Church, which had a great deal of influence in the country. She encouraged the Scottish clergy, and its people, to receive communion more than once a year at Easter, to refrain from working on a Sunday and to observe the Lenten fast from Ash Wednesday, rather than the following Monday. 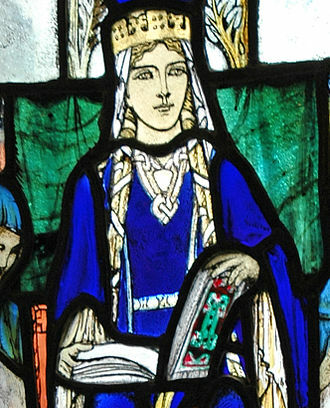 Queen Margaret also urged the clergy to celebrate Mass with a common ritual and sought to forbid marriage between a man and his stepmother or sister-in-law. The queen was supported in all her reforms by her husband; indeed, if Malcolm III had not given his support it is doubtful that Margaret’s influence would have achieved much, if anything at all. The king’s role in her attempts at religious reform is vague, although Malcolm did arrange a conference for the clergy to introduce a number of reforms. Margaret was present, and embarrassed some of the clerics by knowing more about the proper procedures of the Church than they did. She even had the papal manuals to quote from. The queen founded a monastic community at Dunfermline, building the first major stone church in Scotland; and arranged with Lanfranc, Archbishop of Canterbury, to send monks from the cathedral monastery at Canterbury to become its first community. 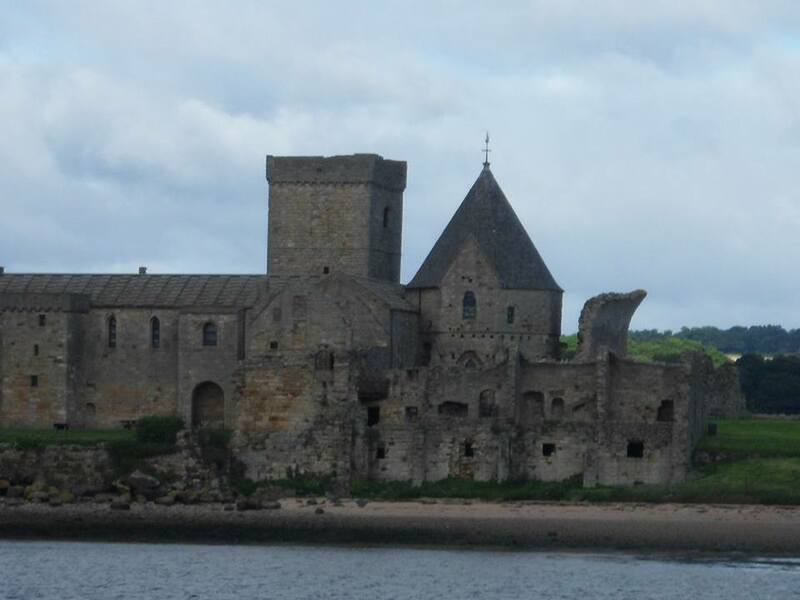 Although it started as a priory, it was elevated to an independent abbey in 1128, at the instigation of Margaret’s son, David I.
Margaret was a strong figure; she was pious but also worldly-wise. Having grown up on the Continent, she was familiar with many of the courts of Europe and had met some of its leading churchmen. 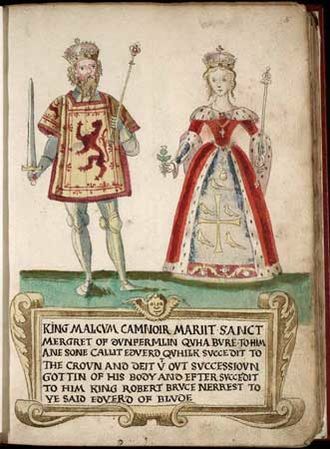 A modernising queen, Margaret brought luxury to the Scottish court and into the lives of the nobles of her new country. A Life of St Margaret was commissioned by her daughter, Matilda, when she became Queen of England. It was written sometime between 1100 and 1107 by Turgot, Margaret’s former chaplain and the prior of Durham. Margaret and Malcolm would have a large family, with six sons and two daughters growing to adulthood. Margaret took great care in educating them, ensuring they were given the essentials for their future royal careers. 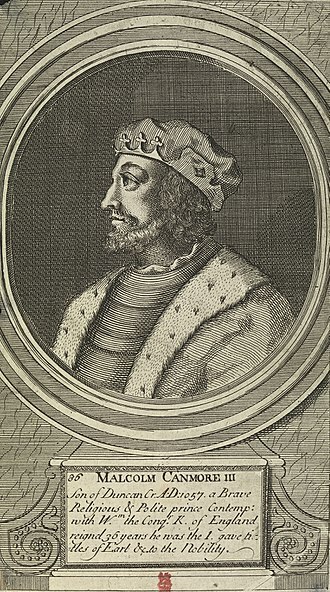 Her second son, Edmund, became king in November 1094, ruling jointly with his uncle – Malcolm’s brother – Donald III, following the death of his half-brother, Duncan II. Edmund ruled south of the Forth/Clyde boundary, while Donald ruled the north, although there is no indication that he was ever crowned. In 1097, the co-kings were deposed in favour of Edmund’s younger brother, Edgar; Edmund became a monk at Montacute Abbey, Somerset, and died there, having never married. Edgar himself died on 8 January 1107. Unmarried and childless, he was succeeded by his brother, Alexander I, who died in April 1124. 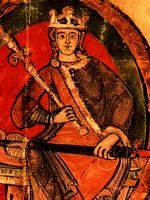 David I succeeded Alexander; he reigned until 1153 and was succeeded, in turn, by his grandson, Malcolm IV the Maiden. Another son, Æthelred, styled Earl of Fife, became Lay Abbot at Dunkeld and died around 1097. Malcolm and Margaret also had two daughters: Edith, who changed her name to Matilda on marrying King Henry I of England; and Mary, who married Eustace III, Count of Boulogne, and was the mother of Matilda of Boulogne, wife of Stephen, King of England. Edith (Matilda) and Mary were educated at Romsey Abbey, where Margaret’s sister, Christina was abbess. As King of Scots, Malcolm also had claims to Cumbria and Northumbria and in 1069/70, he made raids into Northumberland. William I responded by sending an army north and the eventual peace treaty saw Malcolm’s oldest son by Ingebiorg, Duncan, being sent south as a hostage and guarantee of his good faith. Duncan would eventually reign, briefly, as Duncan II but was killed at the Battle of Monthechin in 1094. Malcolm made frequent raids into Northumberland, notably in 1079 and 1091, in attempts to gain control over the county. When a diplomatic mission in 1092 failed, he attacked again in 1093, taking his eldest son by Margaret, Edward, with him. 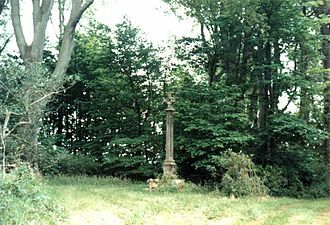 Malcolm was killed at the Siege of Alnwick, on 13 November 1093; Edward died shortly after, near Jedburgh, from wounds received at the Siege. Margaret died on 16 November 1093, just days after the battle, possibly on receiving the news, brought by her son Edgar, of the deaths of her husband and eldest son. Although the fact her body was weakened by her frequent fasting may have hastened her death. She was buried in the abbey she had founded at Dunfermline. 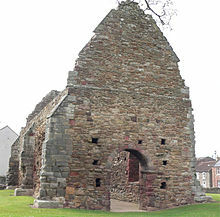 Malcolm was initially buried at Tynemouth, but his remains were later moved to join his wife at Dunfermline. Margaret’s sons honoured their mother’s memory, encouraging the popular cult of St Margaret that developed soon after the queen’s death, to foster the idea that she should be made a saint; such an honour would serve to enhance the political and religious status of their family. One of the miracles attributed to her was that in 1199 Scotland’s king, William the Lion, was persuaded against launching an invasion of England after experiencing a vision while holding a vigil at Margaret’s tomb at Dunfermline. Her canonisation came in 1250, and in 1673 Pope Clement X named her Patroness of Scotland. Following the Reformation, the remains of both Margaret and Malcolm were removed to Spain by Philip II and reinterred in a chapel at the Escorial in Madrid. Margaret was a direct descendant of King Alfred the Great of Wessex. Her Saxon royal blood guaranteed she would not be allowed to enter a convent, she was too valuable on the marriage market. However, through her efforts to reform the Scottish Church, it could be said that she found a better way to worship God. 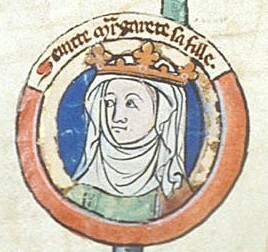 Her legacy was cemented through the work of her son, David I, who continued in her policy of Church reform; while her Saxon blood found its way back into the English royal family through her daughter, Matilda, and her marriage to Henry I. Saint Margaret’s royal lineage ensured that she would not be allowed to devote her entire life to God, but her position as Queen of Scotland gave her the opportunity to direct her devotional tendencies into Church reform, making her a heroine to generations of Scots. ¹ Vita B Simonis, col. 1219, quoted by Elizabeth van Houts in oxforddnb.com, May 2008; ² Quoted by epistolae.ccnmtl.columbia.edu. All pictures courtesy of Wikipedia, except: Dunfermline Abbey courtesy of Angela Bennett; Edmund II Ironside and his descendants courtesy of British Library Catalogue of Illuminated Manuscripts. epistolae.ccnmtl.columbia.edu; Brewer’s British Royalty by David Williamson; Britain’s Royal Families, the Complete Genealogy by Alison Weir;The Wordsworth Dictionary of British History by JP Kenyon; The Anglo-Saxons in 100 Facts by Martin Wall; Kings, Queens, Bones and Bastards by David Hilliam; Heroines of the Medieval World by Sharon Bennett Connolly; The Mammoth Book of British kings & Queens by Mike Ashley; The Oxford Companion to British History Edited by John Cannon; The Anglo-Saxon Chronicles translated and edited by Michael Swanton; The Anglo-Saxon Chronicle translated by James Ingram; Queen Emma and the Vikings by Harriett O’Brien; The Bayeux Tapestry by Carola Hicks; oxforddnb.com.